American R&B recording artist Chris Brown, Kid Ink & Omarion comes to First Midwest Bank Ampitheatre on Friday 14th August 2015! Chris Brown is a worldwide superstar, known best for his all time favorite tracks, such as "Run It" released back in 2004. Since then Chris has smashed dancing tournaments and incredible live performances and is now back on the road on his "One Hell Of A Nite" tour! You can catch him this fall in a stadium near you… make sure you book your tickets in advance to avoid disappointment! 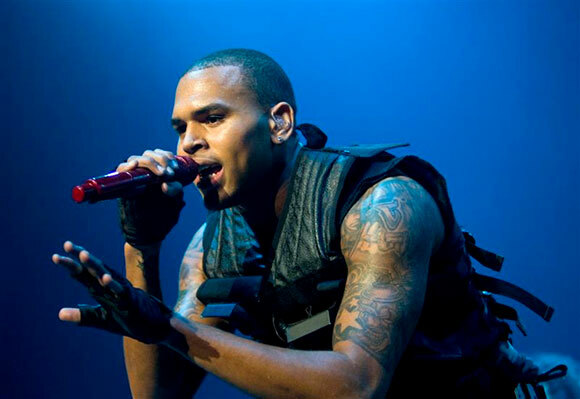 GRAMMY Award-winning singer & songwriter Chris Brown smashed the R&B charts back in 2004 with his self titled double-Platinum, the record included his debut single "Run It! ", making the spot #1 in the U.S. Since then, he has continued to use music to express his emotions, not only through singing but also through dancing. His skills have smashed dancing battles into the ground, with back flips and impressive tricks which have won numerous dancing tournaments across the globe! Chris Brown made his sixth #1 album entry on the Billboard R&B/Hip-Hop chart with his latest release X in 2015. The album also hit #2 on Billboard's Top Albums chart, marking his sixth album debut within the Top Ten! An impressive 140,000 units were sold in its first week while Spotify streams of the album continue to rise! There's no wonder why the talented Chris remains one of today's most influential entertainers of our time.